It's easy to tell the difference between shirts made from woven material and shirts made from knit material, as long as you know what to look for. Woven material, which is appropriate for dress shirts and other more structured garments, looks, feels and even behaves differently from knit material, which is more appropriate for relaxed, comfortable garments. Determine what kind of fabric you have. For example, if your fabric is chambray, canvas or gabardine, it's a woven fabric. If you have jersey, berber or interlock, it's a knit fabric. Pull at the fabric to see if it stretches. If it yields easily, it's probably a knit fabric. If the fabric is more resistant to stretching it's probably woven. 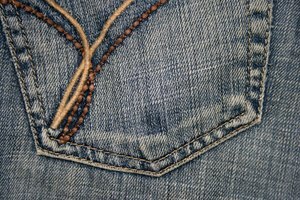 Look for tiny, v-shaped loops on one side of the fabric and ridges that run across the width of the fabric on the other side. 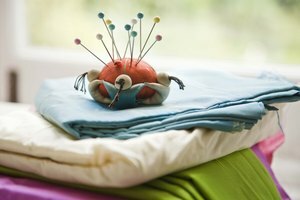 If your fabric possesses these two characteristics, it's a knit fabric. Look for a warp and a weft to determine whether your fabric is woven. Woven fabric is composed of a warp, or strands of yarn that run across the length of the fabric, and a weft. 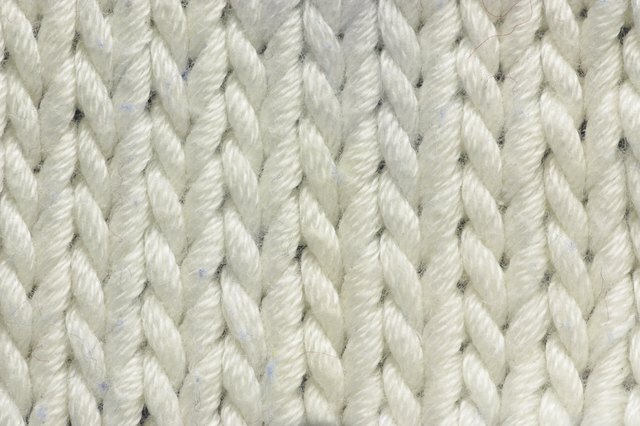 Weft yarns run across the width of the fabric and weave over and under the warp yarns. 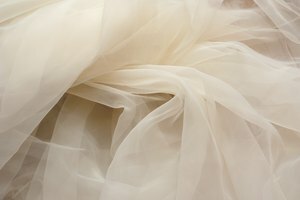 What Is the Difference Between Chiffon and Tulle? What Is a Pique Shirt?